Last edited by Ragnarok on Mon Jul 17, 2017 11:35, edited 2 times in total. Thanks. I changed the crafting recipe. Now wool is no more needed, and the bed is fully ecological :D Only wood, sticks, papyrus and paper. Well done. I like the sound most. 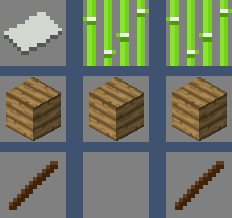 Why does this mod depends on animalmaterials? If i delete it in depends.txt everything works. So it dont realy depends on animalmaterials. Ragnarok was slapped for using an old version of More Blocks. Nice, though. 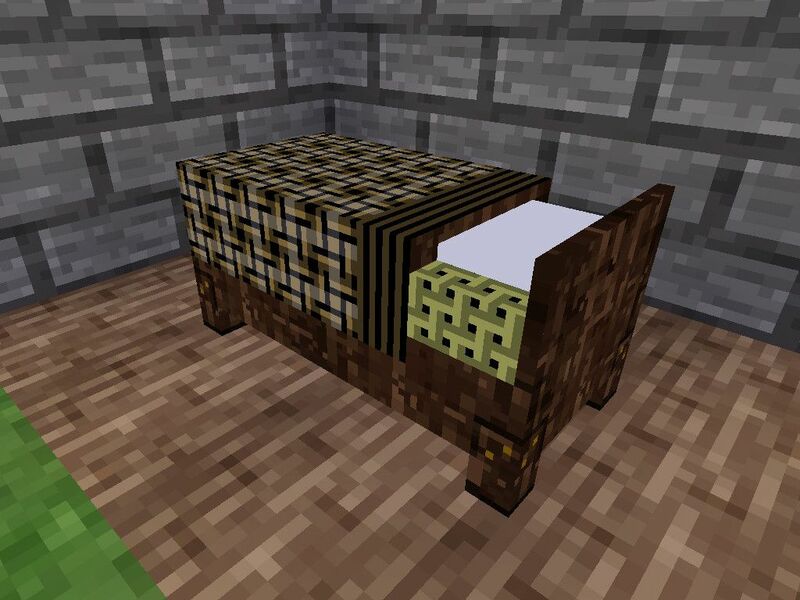 That bed looks better than Minecraft's, definitely. I would've preferred cotton over papyrus (it seems weird to have a bed made out of papyrus...). 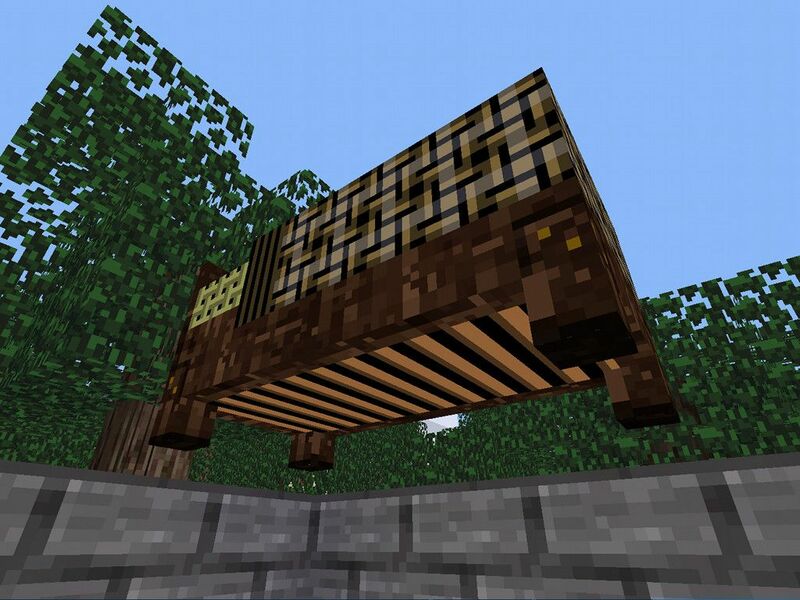 Also, the same thing I told PilzAdam in the thread you linked to: making the bed be the respawn point would be awesome. Last edited by leo_rockway on Tue Aug 07, 2012 17:44, edited 1 time in total. Calinou wrote: Ragnarok was slapped for using an old version of More Blocks. Thanks (for kind words too) :) I didn't notice update. Does anybody have an idea how to make screenshots without pointer? leo_rockway wrote: I would've preferred cotton over papyrus (it seems weird to have a bed made out of papyrus...). Thanks for suggestion. In the future I plan to replace paper in the wool back, when it will be easily obtained without any external (non-default) mods. Setting the respawn point by sleeping would be fantastic but I don't have idea how to do that (at the moment). I'm not a programmer but I try to do things better than they are. Any idea will be appreciated. Please move your files to a service that doesn't require the user to jump through hoops to download - github, dropbox, ompldr, etc. Last edited by Ragnarok on Wed Aug 08, 2012 13:30, edited 1 time in total. Setting the respawn point by sleeping would be fantastic but I don't have idea how to do that (at the moment). I'm not a programmer but I try to do things better than they are. Any idea will be appreciated. I can write a patch if you want. leo_rockway wrote: I can write a patch if you want. Mmmhh... I just noticed the NC-ND restriction. I don't think I'll work on a patch for this, sorry. As you wish. License CC-BY-NC-ND applies only to graphics and sounds, the code is under the WTFPL. Last edited by Ragnarok on Fri Aug 10, 2012 09:24, edited 1 time in total. I would like to support that position in the compass-mod, too. That's great idea. Unfortunatelly recently I'm recently a little busy :| I'll do this as soon as I can.